MOSCOW, April 4. /TASS/. 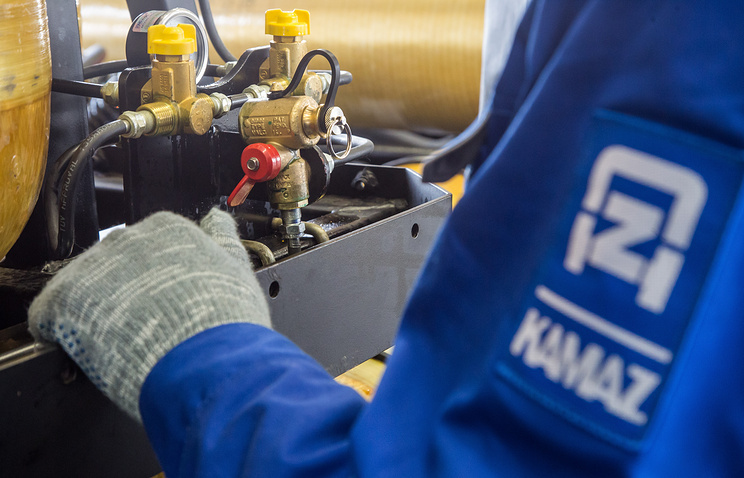 The Russian truck-maker Kamaz may organize assembly of trucks in Angola and Russian Railways may participate in upgrading the rail infrastructure in this country, according to pre-reads of the Kremlin’s press service for negotiations between Presidents of Russia and Angola. “Production of railcars with participation of Uralvagonzavod, organizations of Kamaz trucks assembly and participation of RZD International [international arm of Russian Railways – TASS] in restoring and upgrading the railroad infrastructure are among looking-forward cooperation projects,” the Kremlin’s press service says. Furthermore, “Angola is interested in engaging major business operators from Russia in mining iron ore and manganese in the Cuanza Norte Province and in developing offshore and onshore hydrocarbon resources,” the press release says. Mining sphere is among the main areas of business ties between Russia and Angola, according to the press release. Hey Buddy!, I found this information for you: "Russia’s Kamaz may start assembling tracks in Angola". Here is the website link: https://russophile.org/russias-kamaz-may-start-assembling-tracks-in-angola/. Thank you.